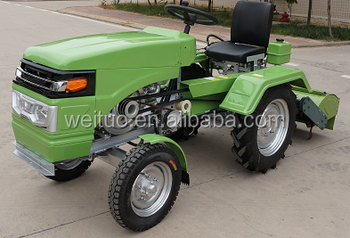 This tractor is designed based on waling tractor chassis. It has small size, cheap price and simple operation system, which can do farm works by matching with all kinds of implements such as rotary tiller, plough, seeder, and so on. QTY./40HQ: 45 sets with rotary tiller.